Don't forget you can book tickets and dining at OJC on 01234 711348 and benefit from the in advance price even though you won't have to pay until the night. This is done on trust - if you can't make the gig for some reason you will still have to pay for your pre-booked tickets, although we will put them on sale at the door for you once all the club tickets have been sold. Take a look at Peter Butler's excellent Jazz website at www.jazzandjazz.com. 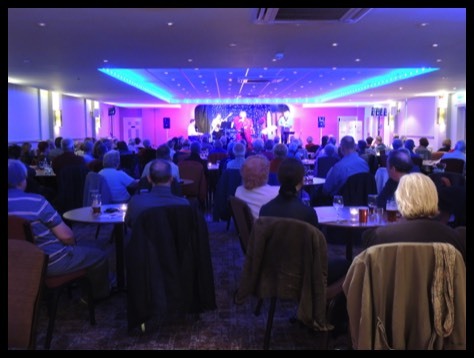 You can find Olney Jazz Club at The Carlton House Club, High Street, Olney, MK46 4BB (near Milton Keynes). It runs on the first Tuesday of every month except for August, when we take a summer break. We're a very friendly club and no membership is required. Why not make an evening of it and dine at the club - great value! Two main courses for £12! It is always best to try to purchase tickets and book meals in advance as they both tend to sell out. Phone 01234 711348 to reserve yours.